Your air conditioner might seem to be working just fine, but it’s important to adhere to regular service dates (at least once each year) to ensure nothing is malfunctioning behind the scenes. Your A/C removes moisture from the air, and sometimes that moisture builds up within the A/C itself. 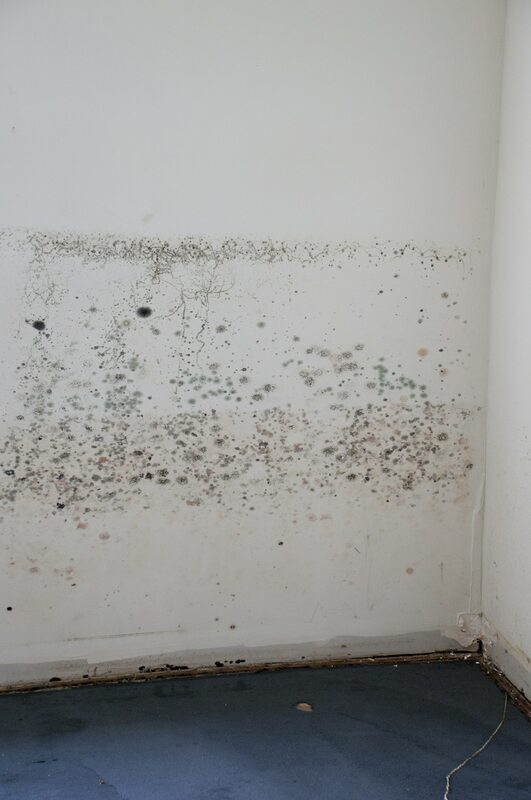 If not properly drained, that water could be slowly leaking into your home – potentially ruining the flooring and drywall and, in many cases, introducing mold. 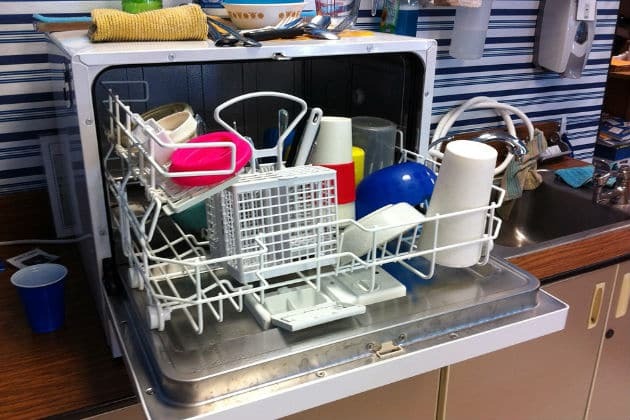 Dishwashers are another possible culprit of water damage in your home. Your dishwasher can cause water damage if not properly sealed, meaning that the latch is broken, or if it was loaded with the wrong soap. Make sure that any leaks are immediately addressed and that your dishwasher is repaired or replaced ASAP, so you can avoid costly water damage repairs to your kitchen. Perform regular checks on your washing machine, inspecting beneath the unit as well as behind it. Make sure all fittings are securely connected, and that the underbelly of the washing machine isn’t leaking any water beneath the unit. If you have an older washing machine that gives you frequent issues, consider replacing it altogether. It might seem obvious, but water damage in the home is often caused by leaky pipes. Let’s pretend that you have a loose-fitting pipe under the kitchen sink or in the bathroom, and you’ve just recently noticed water pooling in that area. Don’t wait to call a plumber – a leak in one place in your home could signify leaks in other areas, too. If you notice spikes in your water bill, a leak is likely present and needs to be addressed before additional damage is caused to your landscaping, foundation, flooring, or other areas of the home. Clogged drains aren’t just annoying, they also cause water damage (and mold growth) if left unchecked. If your toilet is clogged, it means that not only can you not use the toilet, but you will likely also experience water backing up into the shower, sinks, or bathroom floor. Sewer water is extremely dangerous because it contains raw sewage and bacteria, and must be cleaned up by a professional. If your kitchen sink drain is backing up, you can experience sink overflow and subsequent damages to your kitchen flooring and cabinetry. Make sure to seek professional help when experiencing frequent drain clogs so you don’t have to deal with water damage to your home on top of the clog itself. 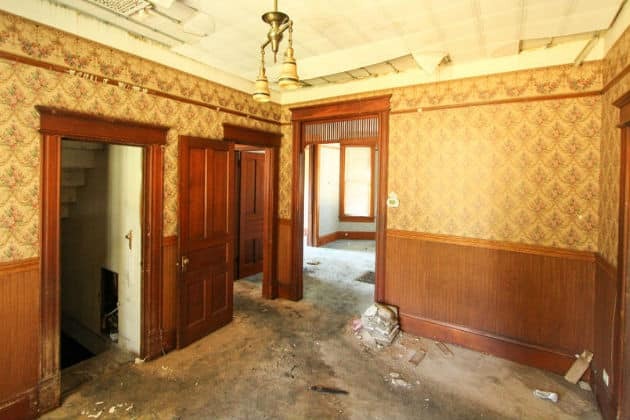 So there you have it: the top five causes of interior water damage. By knowing the most common causes of home water damage, you’ll be able to take preventative steps to avoid them. But what if it’s too late for prevention? Our home water damage restoration team offers service throughout the San Diego area, so you’ll always be in good hands.